We are proud to have Dr. Linda Mintle in ParentLife each month answering questions submitted from readers. To submit a question for Dr. Mintle, e-mail it to parentlife@lifeway.com and include “? for Dr. Mintle” on the subject line. This month we have an extra Q&A from Dr. Mintle we wanted to share. Q: I have been trying very hard not to have my baby use a pacifier. I’m the only one of my friends who seems to be overly concerned about this. My mother-in-law is telling me to lighten up. I’ve read that pacifiers can affect a baby’s speech. Am I overreacting? A: This is a generational question that parents must consider. 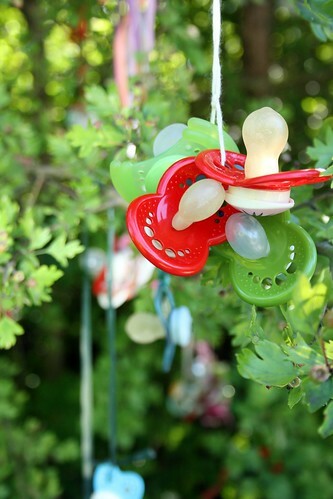 Pacifiers are typically used to soothe and distract a baby. Here is what we know. One positive finding about pacifier use is that it has been linked to reduced risk of sudden infant death syndrome (SIDS) in sleeping babies. On the negative side, thumb sucking, pacifier use, and even bottle use have been associated with an increase in the risk of speech disorders when the sucking is long-term. Breastfeeding did not have this effect on children and in fact, promotes positive oral development. And pacifier use can interfere with breastfeeding. In terms of pacifier use, the results from a 2009 study published in BMC Pediatrics were based on children who used pacifiers for more than three years. These kids were three times more likely to develop speech impediments. Now, the authors of this study also said that pacifier use and thumb-sucking for less than three years increased risk. The reason has to do with how the sucking motion changes the normal shape of the dental arch and bite. We also know that pacifier use can be associated with middle ear infections. However, the Mayo Clinic tells us that when the risk of SIDS is the highest (birth to six months), rates of middle ear infections are also low. The recommendation to reduce SIDS is to offer a pacifier at bed or naptime until the age of one. So the information is a bit confusing. I don’t believe you are overreacting. The concern about pacifier use grows as your baby grows. You can choose other ways to soothe your baby. I’m a big believer in nursing because there are so many benefits to the baby and you. If you are breastfeeding, the American Academy of Pediatrics recommends you wait until four to six weeks after birth to introduce a pacifier. Certainly, don’t give a baby a pacifier all day, choose a silicone one-piece to avoid breaking (a choking hazard), and don’t force the use.